Marlene Amstad is Professor of Practice in Economics in the School of Management and Economics at the Chinese University of Hong Kong, Shenzhen. She serves as Vice-Chair of the Board of Directors at the Swiss Financial Market Supervisory Authority (FINMA). Marlene regularly holds research fellowships at central banks, most recently with the Federal Reserve Bank of New York, the Bank of Japan, Bank of Finland and BIS. She advised the 11 largest Asian central banks in asset management and coordinated their Asian Bond Fund (ABF) initiative working at Bank for International Settlement (BIS) based in Hong Kong. Previously, she was Deputy Director, Head of the Investment Strategy and Financial Market Analysis at the Swiss National Bank. Marlene’s primary research interests include international finance and monetary economics. She is an expert in developing new economic indicators based on big data for policy makers and investors. At the Federal Reserve Bank of New York she created the “Fed New York staff underlying inflation gauge (UIG)” which is published monthly and regularly covered by major media outlets. Working at Credit Suisse she built a quantitative credit rating system for corporate clients and at KOF Swiss Economic Institute a recession indicator based on company surveys. Her research is published in refereed and policy-oriented journals such as Journal of International Money and Finance, Oxford Bulletin of Economics and Statistics, Economic Policy Review and BIS Quarterly Review. She teaches“Financial Markets in China and the World” and “Economics of Money and Financial Institutions – from the classic textbook to FinTech”, and previously “Financial Institutions and Regulations” at the University of Bern and in the “MBA in Finance” at Tsinghua University. 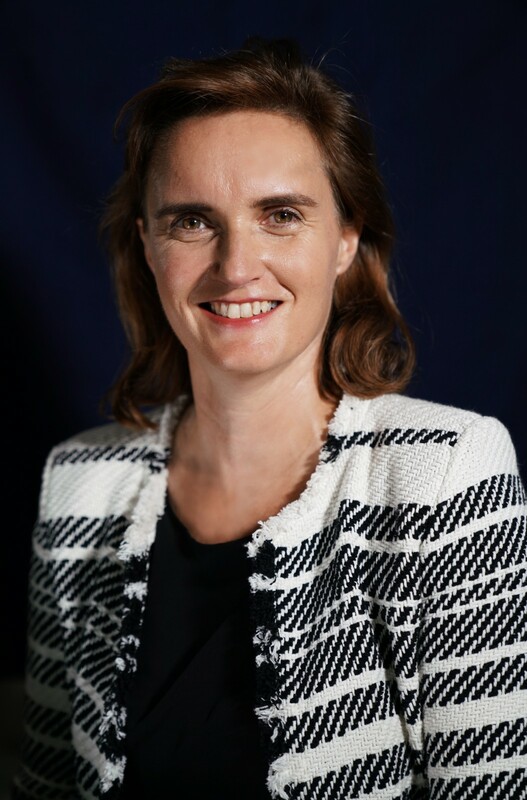 Marlene holds a doctorate in econometrics from the University of St. Gallen, an MA in economics from the University of Bern, and pursued her management education at INSEAD and IMD. 1. Marlene Amstad & Potter, Simon M. & Rich, Robert W., (2017). "The New York Fed Staff Underlying Inflation Gauge (UIG)," Economic Policy Review, Federal Reserve Bank of New York, issue 23-2, pages 1-32. Economics and Applied Economics Research, vol. 68(01), pages63-82, December. 3. "How do global investors differentiate between sovereign risks? The new normal versus the old," with Remolona, Eli & Shek, Jimmy Journal of International Money and Finance, Elsevier, vol. 66(C), September, 2016. 4. “A spare tire for capital markets: Fostering corporate bond markets in Asia” with Steven Kong, Frank Packer and Eli Remolona, BIS Papers No 85, June 2016. 5. “Sovereign ratings of advanced and emerging economies after the crisis," with Frank Packer, BIS Quarterly Review, Bank for International Settlements, December, 2015. 6. “Monetary policy implementation: common goals but different practices," with Antoine Martin Current Issues in Economics and Finance, Federal Reserve Bank of New York, vol. 17(Nov), 2011. 7. "Monthly pass-through ratios," with Fischer, Andreas M., Journal of Economic Dynamics and Control, Elsevier, vol. 34(7), pages 1202-1213, July 2010. 8. "Are Weekly Inflation Forecasts Informative?," Andreas M. Fischer Oxford Bulletin of Economics and Statistics, Department of Economics, University of Oxford, vol. 71(2), pages 237-252, 04, 2009. 9. "Do macroeconomic announcements move inflation forecasts?," Andreas M. Fischer Review, Federal Reserve Bank of St. Louis, issue Sep, pages 507-518, 2009.